Several warrior sailing alumni attended the Columbus Day Regatta hosted by Coral Reef Yacht Club in Biscayne Bay, Miami. The 2 day event brought rolling storms and then excellent conditions to the warriors in the spinnaker class. Team United Warriors of Danny Evans, Laura Root, and Sammy Lugo took 1st place in the sonar class. 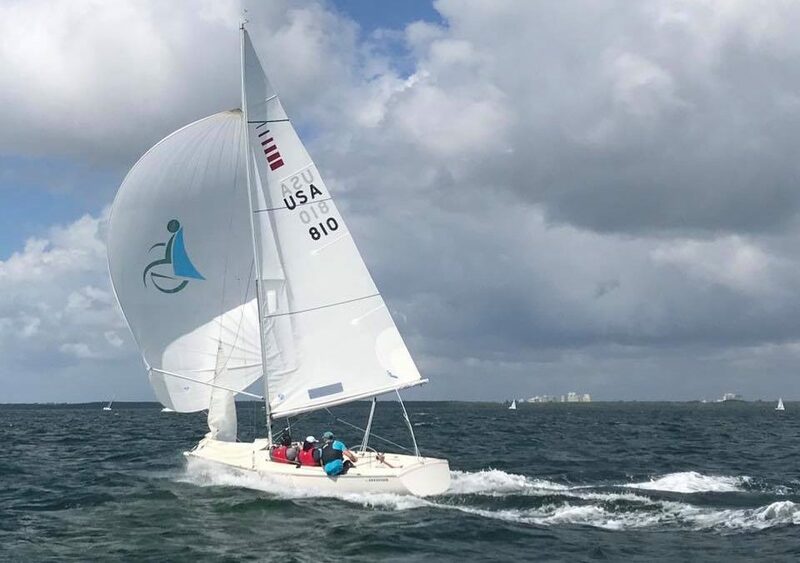 Team Paradise with Sydney’s Olympic Gold Medalist Magnus Liljedahl allocated 3 sonars for the event for military veterans and disabled sailors. Team Paradise also hosts US Sailing certification classes for veterans. Thank you to Team Paradise and Coral Reef Yacht Club for making this race possible.